New York Power Authority’s (NYPA) intern program provides top college students with the opportunity to gain broad experience working for the nation’s largest public power organization. 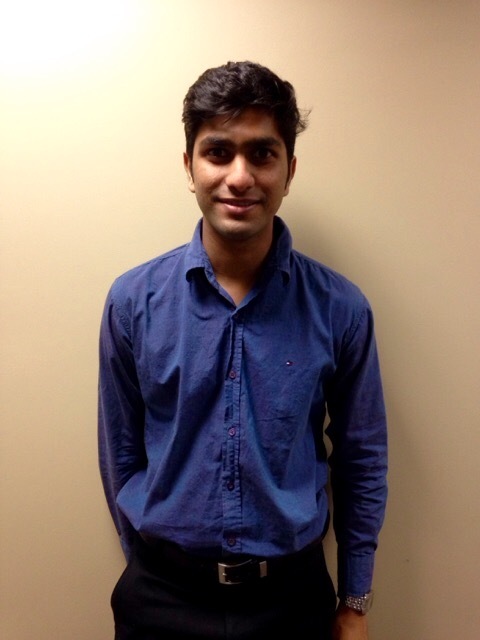 Pratyush Kulwal is a graduate student studying Information Management at Syracuse University. He works in the IT PMO group in our White Plains office. I chose Information Management major as I believe that specialization in this field would help me to not only keep pace with the changing technology, but also act as bridge between humans and computers. The enormous information that is generated these days is of little use to human society if it cannot be processed through an efficient information system. Therefore, my aim is to design and improvise systems that bridge every possible gap between human needs and technological challenges that act as barriers to addressing those needs. 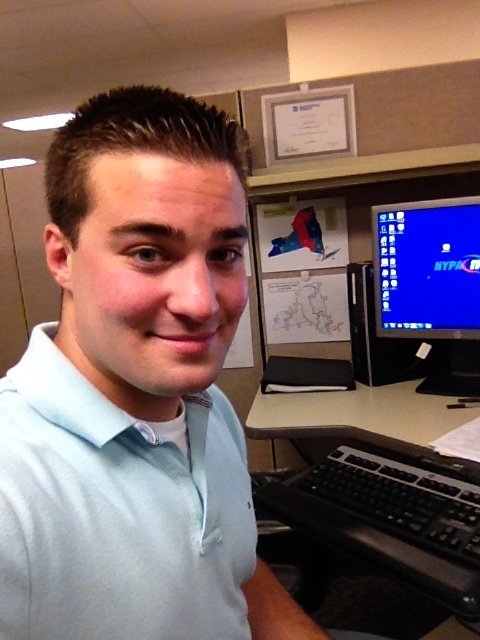 I work in the IT PMO group, where I am learning to interact with different business departments of NYPA in order to develop efficient IT systems. I believe I would be able to leverage on my technical skills and my communication skills to create value in the organization. My best friend would describe me as open-minded, logical, humorous, and friendly. They would say that I like to have fun, but I am very efficient when the time comes to get work done accurately and reliably. Colin Sickles is pursuing his degree in Operations (MIS) at Oswego State University. He works in the Procurement department in our White Plains office. My major is Operations (MIS). I choose this major as all aspects of business need the support of a portfolio of applications to assist business processes and having the knowledge to implement and configure these applications is a great first step in establishing a new employee in a company. I am most passionate in learning about business processes and how computer applications assist in accomplishing business objectives. I hope to assist with the implementation of a new interactive customer procurement application that will greatly facilitate the contractual process. This cloud based application has leading edge e-commerce and supplier management capabilities. I have found that writing computer language code to be challenging, as it is unforgiving to the smallest syntax errors. Fortunately, there are many niches in the field where this is less important as systems analysts bridge the gap between the coders and the business by defining and documenting business requirements. I hope to sharpen my system analyst skills which includes: knowledge of hardware, software and programming, a creative approach to problem-solving, the ability to gather and interpret information, communication and presentation skills, as well as the ability to explain technical ideas clearly. I will create value at NYPA within my internship to make sure my learning experience fits in with the organization’s overall operational objectives and well as the objectives of the department I am in and those of my manager. My personal goal is to learn how new and established applications aid the existing business processes and assist with the implementations and configuration. My best friend would describe me as an outgoing and optimistic person. As well as, a person who is always there for them and willing to go the extra mile. 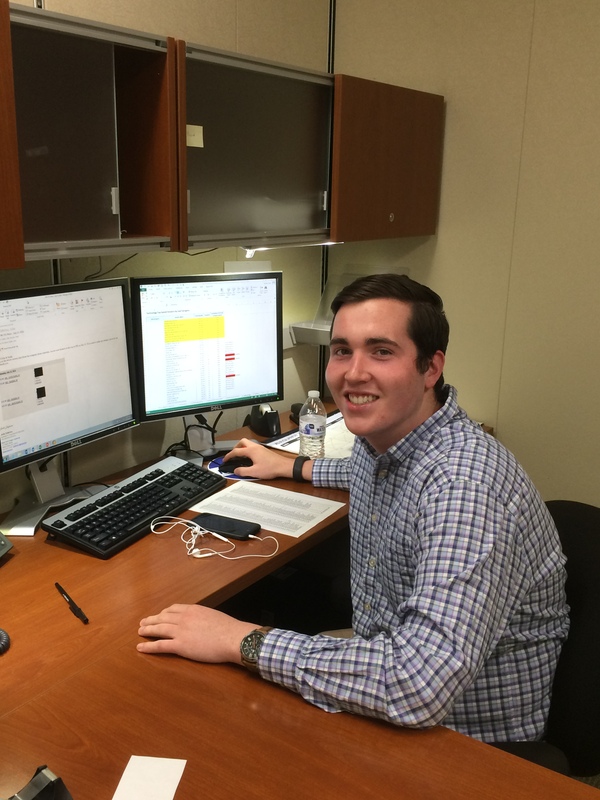 Jake Shemtob is a student at Fairfield University pursuing his degree in Economics. He works in the Customer Load Forecasting Group in Marketing & Economic Development at the White Plains office. At first, I didn’t know what to expect from my internship at NYPA. My studies in economics have concentrated primarily in financial markets. Here at NYPA, I have been able to apply my quantitative, analytical, and critical thinking skills in a completely new field that I had little to no prior knowledge about aside from looking at our NYSEG bill at home. In the CLF group, my primary objectives are to work with short term load forecasting to study and update different models and thresholds so that the CLF group can continue to provide accurate load forecasting for all of NYPA’s customers. Additionally, I have worked with Peak Load Management by running the daily PLM Forecast Report to forecast the total state energy load, as well as investigating areas for possible expansion of demand response and peak shaving initiatives for municipal customers. Currently, I am working on a study to understand existing metering contingency process in order to either validate the existing contingency metering process or provide recommendations on what meter process would provide the optimal forecasting results. Thanks to the CLF group and the countless people who work with me in Marketing and Economic Development (especially my excellent co-mentors Dan Johnsen and Colleen McConnell, my inspiring manager Gian DeLuca, PLM analyst and Excel master Dan Smilowitz, fellow CLF team member Andrew Stewart, as well as Mike Lupo, Mike Huvane, Keith Hayes, and Eric Bowers), my skill set has grown exponentially and my interest in the energy industry has grown immensely. Every day at NYPA has been enriching and I look forward to continue learning, growing, and networking throughout the rest of my time here. The New York Power Authority’s (NYPA) intern program provides top college students with the opportunity to gain broad experience working for the nation’s largest public power organization. 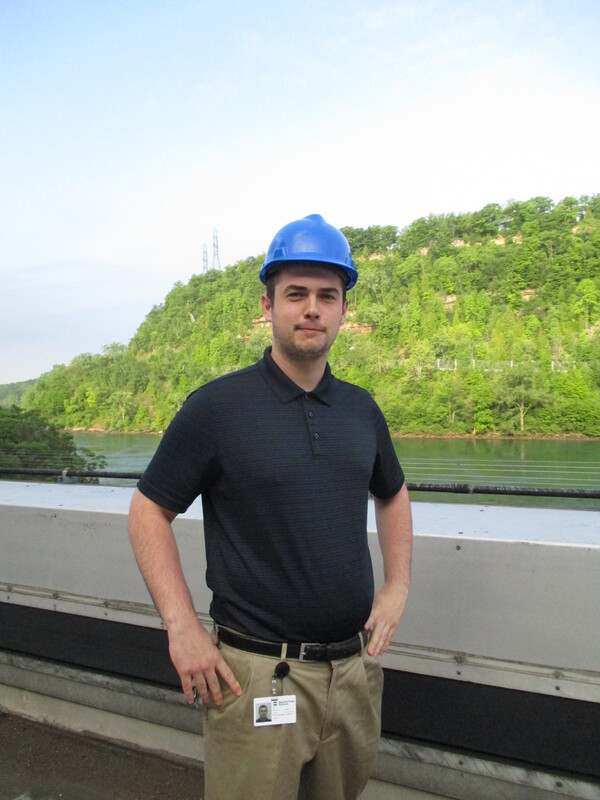 James Simko is a student at the City College of New York, pursuing his degree in Electrical Engineering. 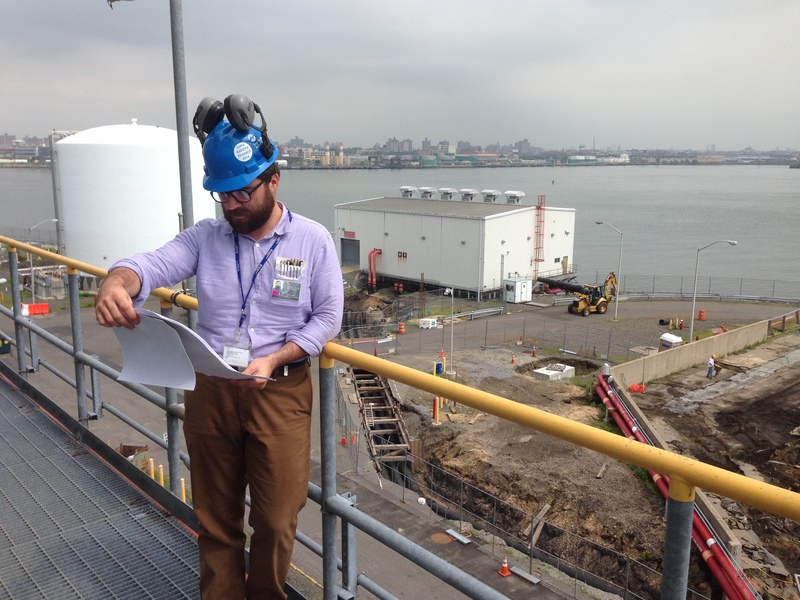 He works in the Maintenance Department at the Poletti Power Project 500MW plant in Astoria, NY. My workload at NYPA has been an interesting mix of multiple projects in various stages of planning and execution. I spent a good portion of my time after the safety meetings reading manuals on plant operations, steam turbine operations, and how a Heat Recovery Steam Generator works, as well as the operation of a GE MK VI controller. I have been fortunate enough to be included in two greenfield projects, as well as several projects that are mid-process. One involves setting up a weather station at the plant to ensure that our plant efficiency readings based on ambient temperature are accurate. I have also been tasked with designing a permanent solution for oil detection and sump drainage logging of our Fuel Forwarding Skid that will eventually be implemented with our other skid drain sumps. Additionally, I was able to inspect the existing cable tray in the 500MW plant to ensure it complies with NEC standards and work with an outside consulting firm to confirm the repairs that have been made. Finally, I’ve been brought on to an environmental project to help track down the exact flow of our storm water through our drain system to help develop a spill response plan. I feel very fortunate to have had the opportunity to work with experienced engineers such as my supervisor, John Mustaro, and mentor, Adil Shaikh, who have given me a level of autonomy and trust on these projects while also keeping an open door policy and making sure that if I find myself in need of any resource or reference, they show me exactly how to find it. Daniel Stahl is a student at Rochester Institute of Technology, pursuing his degree in Civil Engineering Technology. He works in the Mechanical Maintenance Department at the Niagara Power Project. My typical workload consists of assisting the local civil engineer, Edward Barbiero, with his projects and helping other engineers on an “as-needed” basis. This includes contacting vendors, completing purchase requisitions, field inspections, locating documents and proposing items that may be incorporated into a technical specification. Our department is General Maintenance, so most projects focus on repairs to areas of deteriorated steel, pavement or concrete, as well as additions to the facility including guard rails and fences. I’ve been doing some design work (including writing work plans, preparing sketches, researching, selecting and ordering materials). I’ve also done some calculation work to suggest structural improvements to a guard rail system at the LPGP in order to better comply with OSHA regulations. The department is also involved in maintaining the “Ice Boom” system, which includes three ice-breaker boats, cables and other components. Lastly, I attend frequent meetings and training concerning departmental collaboration, safety, the environment, policies and procedures with the goal of improving myself as an engineer and as an asset to the Authority. 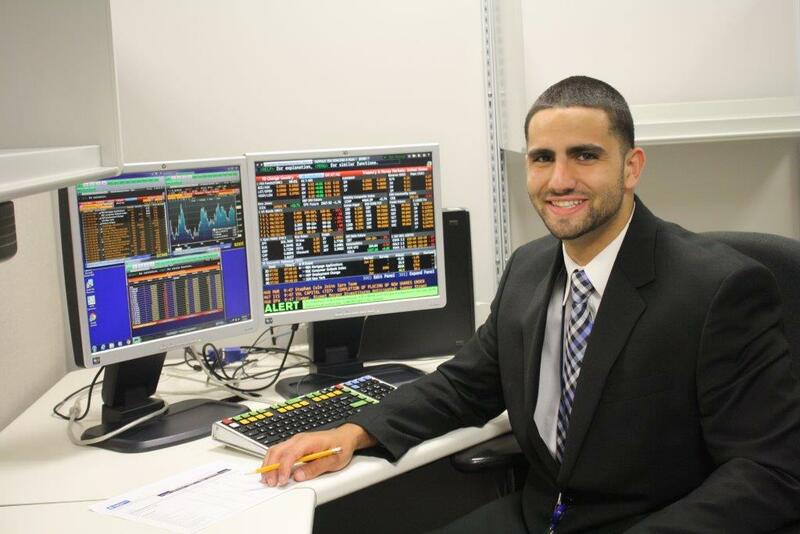 Thomas Marino attends SUNY University at Buffalo, pursuing his degree in Finance. He currently works in the Treasury Department at the White Plains Office. 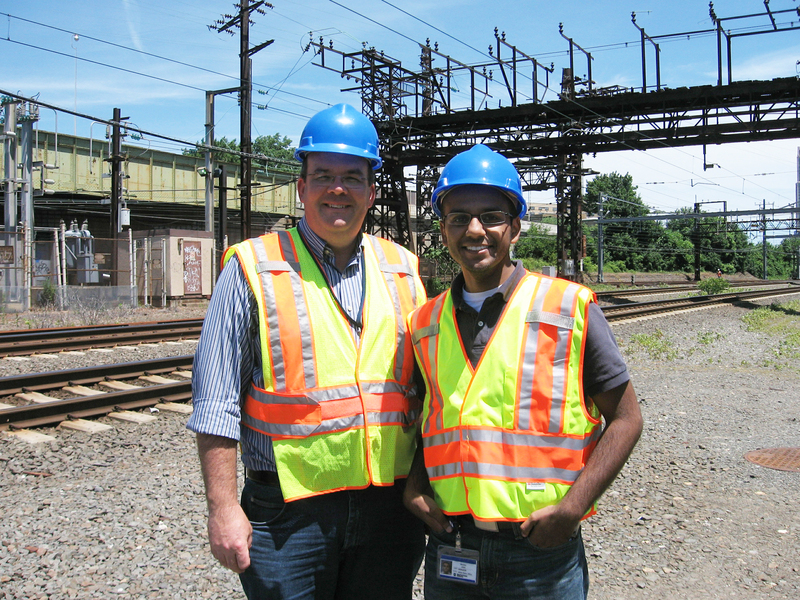 My internship at the New York Power Authority has been a valuable learning experience. I have had the opportunity to work with the Treasury Department, which has exposed me to various aspects of the Energy industry’s financials. I have worked alongside the Senior Investment Analyst to assist in managing the Authority’s fixed-income investment portfolio with the objectives of preserving principal, meeting cash flow requirements, and maximizing return within the constraints of liquidity and risk parameters. I’ve also gained exposure to valuable financial tools, such as Bloomberg, which is utilized when purchasing and selling authorized securities, to price counterparty collateral, to evaluate counterparty and securities credit ratings, and to monitor market news and economic data. The Treasury Department currently has three active RFP’s outstanding. I supported the Treasurer in looking for potential underwriters for future bond deals; I was responsible for reviewing proposals and coordinating the review process between Treasury, Procurement, and the Authority’s Financial Advisor. Additionally, I have assisted the Deputy Treasurer with the 2 fixed income investment manager RFP’s associated with the Other Post-Employment Benefit Trust and the Nuclear Decommissioning Trust. In accordance with the Authority’s Energy Commodity and Credit Risk Management procedures, all counterparty statements need to be verified. I am responsible for the verification process and for sending out notifications with regards to the counterparties who settle transactions via the CME (Chicago Mercantile Exchange). I appreciate the exposure my internship has given me to date and look forward to continued learnings over the remainder of the summer. Bentley John is attending SUNY Maritime College, where he is pursuing a degree in Electrical Engineering. He currently works in the Engineering and Design Group at the White Plains Office. Interning under the Engineering and Design group has been an absolute privilege. The opportunity has not only introduced me to the technologies used in Energy Efficiency, but has also provided me an insight to the engineering design process. Under direct supervision, I have been able to draft and modify electrical schematics and planning diagrams for New York City Transit projects. The focus is on providing the ability for them to participate in PLM during peak load times, while still maintaining emergency power availability to transit facilities. The electrical drawings play a vital role when presenting our proposed designs to the customer’s end users and construction bidders. Designing project drawings has expanded my knowledge in electrical distribution concepts and has introduced me to industry standards such as the National Electric Code. I also had the chance to visit a Metro-North Railroad substation, where our group is upgrading the facilities and equipment including installing two new transformers and distribution equipment for the station. Being able to observe the project from initial drawings and then to see it come together in real time is amazing and not many design engineers have that opportunity. I would like to thank Martin Bowen, Mei Lee, and Mohammad Latif for taking the time to develop me as an engineer, and as an individual. I look forward to working for the NYPA in the coming weeks. The New York Power Authority wishes you a Happy Independence Day! This is President John F. Kennedy speaking from the White House. You have gathered here today to celebrate the delivery of the first power from the fabulous Niagara Power Project and I am happy to join with you, your fellow trustees, staff, consultants, contractors and workers, in this field, in welcoming this great achievement. This 720 million dollar project, financed privately, and scheduled to deliver 1,800,000 kilowatts of firm power when the last of the turbines and generators are installed – begins to function 3 years from the time of groundbreaking. An outstanding engineering achievement and a happy example of teamwork and cooperation between private and public enterprises. This project will ensure constant, adequate and low-priced power for the highly industrialized Niagara Frontier and for the preferred customers – the rural and domestic consumers. All this was made possible by the 1950 Treaty with Canada, signed by President Truman, approved by the Congress and supported by President Eisenhower. This great Power Project signifies a new and more prosperous era for the Niagara Frontier and is an example to the world of North American efficiency and determination.